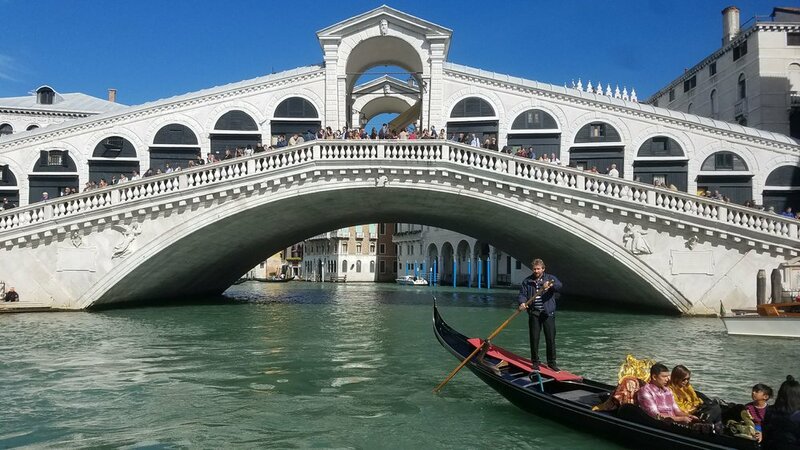 The Rialto Bridge is beautifully located in the heart of Venice. The stone bridge construction started in 1588, and was finally completed in 1591, making it a gorgeous piece of architectural history, and a top tourist attraction. It serves as the division line for districts of San Marco, and San Polo and provides access across the Grand Canal. Its one of the most recognized landmarks in Venice, with visitors scrambling to cross the iconic steps. If you look closely you can see hundreds of people gathered.